Disclaimer: This post was sponsored by BODYARMOR. All thoughts and opinions are my own. You've heard me say it over and over again on my blog. I just don't like water. I know, it may sound silly to some but I have never been a huge fan of it. My husband is always telling me how I need to continue to drink more, especially since I've had a few fainting spells because of not drinking enough. You would think I would have learned my lesson right? Now that we have 2 children, I feel as if I need to really push myself to drink as much as possible not just for my own sake but for my son's. 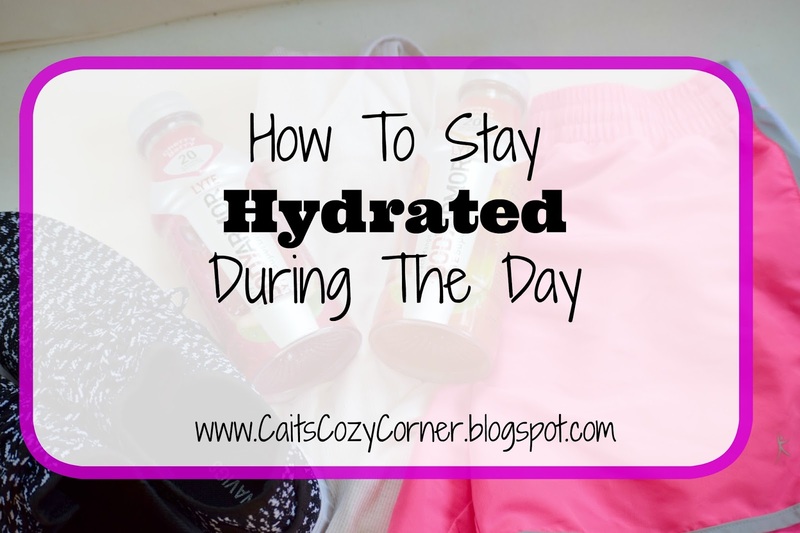 He relies on me to stay as hydrate as I can to keep my milk supply up as does my toddler to chase her around the house or help her with daily activities. Despite so many people counting on me, there are moments where I just don't have the will power to do it. In order to change my outlook on how I stay hydrated, I knew I needed to really do something about it. I thought of a few steps that has really challenged how I look at my water consumption and thought you'd benefit as well! 1. Choose A Fun Water Bottle - I used to keep a little 12-ounce bottle of water on my desk, and I would drink it all, but then I would never get around to refilling it. Now, I keep a large 1 liter bottle on my desk with a goal to drink all of it by the time the work day is over. I like it because it's a little goal I can set each day and easily see my progress as the hours go by. 2. PickA Drink You Actually Want To Enjoy - I've tried so many different ways to drink water like putting various combinations of fruit or sometimes cucumber just to give it some flavor but even that doesn't work sometimes. Thankfully, I found out about BODYARMOR LYTE. 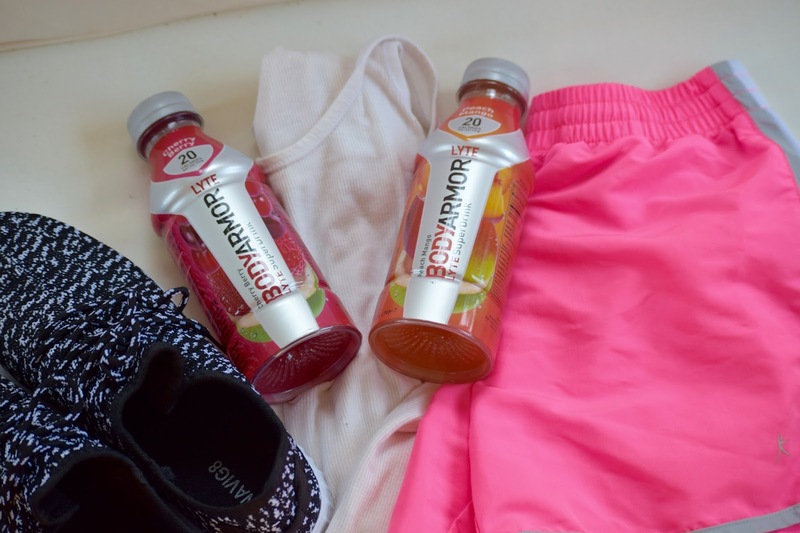 The naturally flavored, naturally sweetened low-calorie sports drink combines electrolytes, coconut water, and vitamins for Superior Hydration. 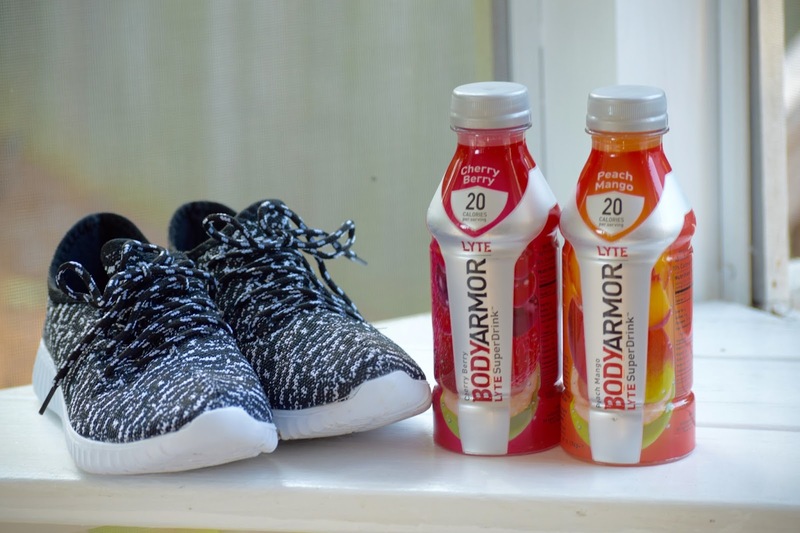 BODYARMOR LYTE contains only 20/calories per serving and is the perfect drink to replenish your body. The best part is that it's heavy on hydration but LYTE on calories! Winning! 3. Set An Alarm - If you get so focused that you forget that bottle is on your desk, you may want to try setting an alarm on your phone or computer to go off every couple of hours or so to remind you to take a few swigs of water. I like to use this time to stand up and stretch, too! I'll either walk around my office, or if I'm at home, I'll walk up and down the stairs for 10 minutes to help increase my blood circulation, focus and work up a bit of a small cardio session to drink more water. 4. Drink a glass before each meal. If it's just not convenient for you to drink water throughout the day (maybe your job doesn't involve sitting at a desk), try setting a goal to drink at least one cup of water before each meal. Not only does this help you to stay hydrated, studies show that drinking a glass of water before a meal can help you feel full faster and eat less! 5. 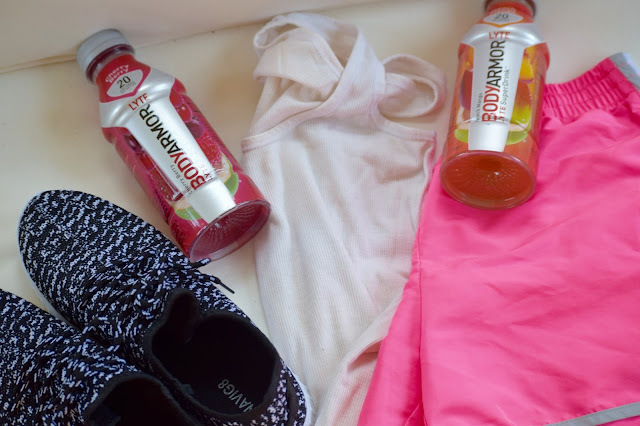 Work Out - As a new Mom of two, it can be difficult to find time to work out but I do it because I love the feeling of accomplishment when I'm finished. I also love that I can take my BODYARMOUR LYTE with me to help replenish my body and water that I lost. 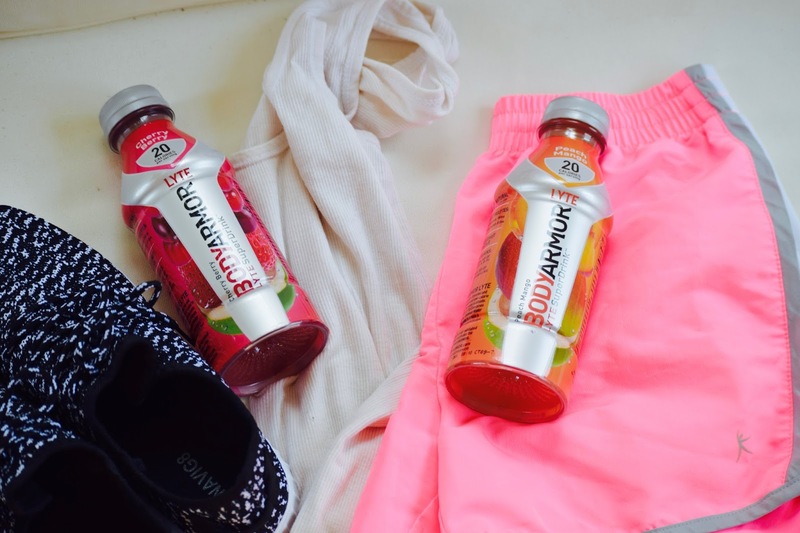 Despite that it is a sports drink, so it is still meant to be consumed during light to moderate activity so it's perfect for my long walks with the kids, hiking our backyard trails or chasing my rugrats at the park. I found my local BodyArmour Lyte at my local Kroger and Publix here in the Atlanta area! 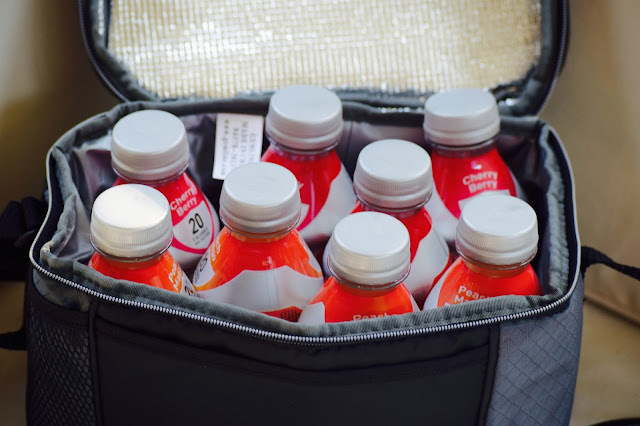 How do you stay hydrated throughout the day?